If you’re looking for a cultural evening of fine dining and exquisite taste, I certainly recommend Luton Hoo Hotel, Golf & Spa. 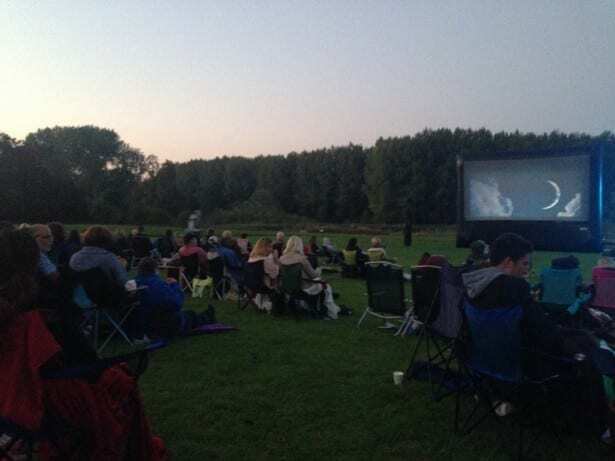 During the summer months Luton Hoo have offered a unique experience for cinema goers with an Open Air Cinema showcasing some classics in the world of film. Where guests are invited to bring their own blankets and refreshments and enjoy a choice of films, a couple of which were shot on location at Luton Hoo. Held within the 1,065 acre estate grounds lay the setting to the screening, beside the picturesque South Lake, it is an unforgettable way to watch one of your favourite films of all time. Films that were screened ranged from some of my all-time favourites such as Four Wedding’s and a Funeral, Dirty Dancing and War Horse. “The house has been a very popular location with television and film makers, being used for films such as Four Weddings and a Funeral, Enigma, Eyes Wide Shut, Inspector Morse, Nicholas Nickleby, Vanity Fair and Bleak House to name but a few.” Luton Hoo Hotel, Golf & Spa. 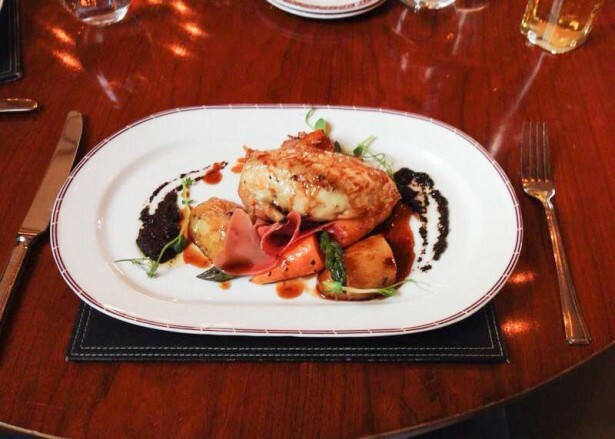 To add to the experience a pre-cinema 2 course meal is offered at Adam’s Brasserie, The Hotel’s Country Club restaurant which is hidden amongst archways and gorgeous greenery. On arrival staff were warm, welcoming and very friendly. On the menu we were spoilt for choice, with a range of fine cuisine. 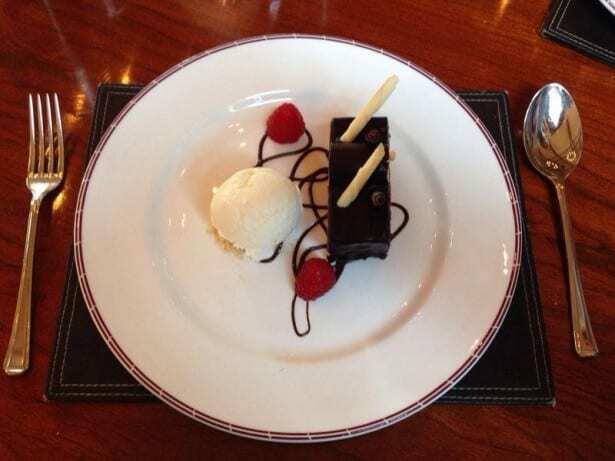 Seated in a booth surrounded by diners enjoying the calming aroma of the brasserie, we were able to enjoy our meal with great comfort. 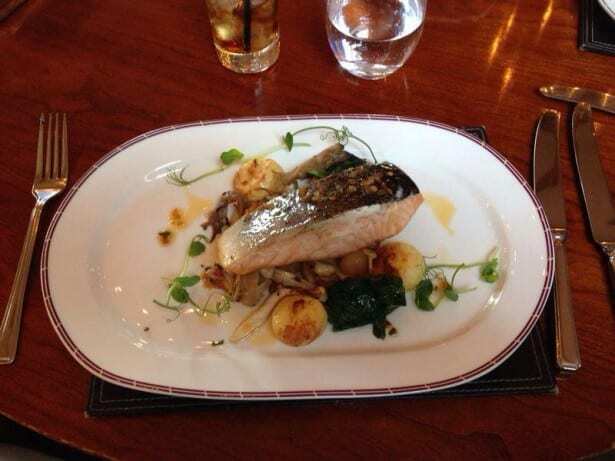 Service was prompt and the food every bit as flavoursome and adventurous as expected. Following the meal we were driven by a member of the on site chauffeurs to the South Lake where we were treated to free popcorn and a red carpet entry to the screening of War Horse. The buzz of families with blankets, picnics and seating strewn across the grounds made it that little bit special and unique. Thank you to the staff for such a wonderful evening. The experience was fantastic and we enjoyed the evening from start to finish. We will be sure to revisit! For more information on Luton Hoo Hotel Golf & Spa Click Here to be redirected to their website for more information on events and offers they have.